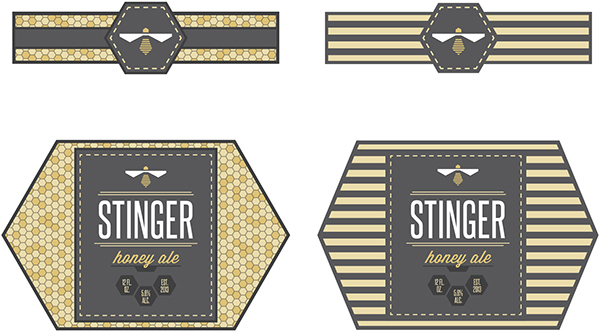 I was told to design, brand and create a packaging line for my own fictitious company. 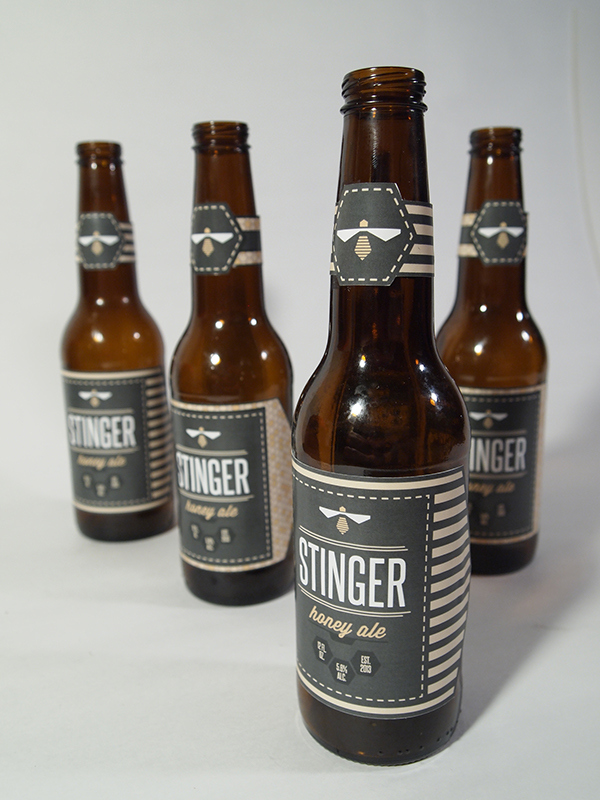 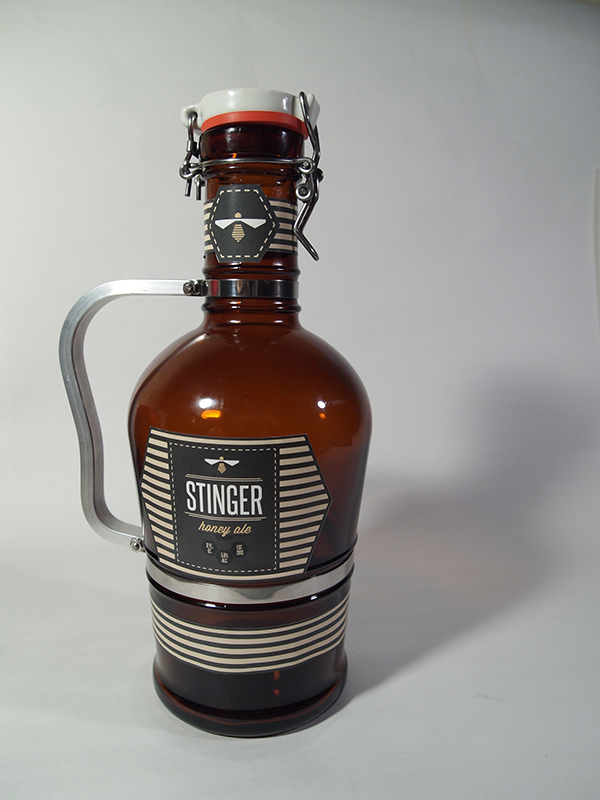 The brand that I developed was a beer company called 'Stinger Honey Ale'. 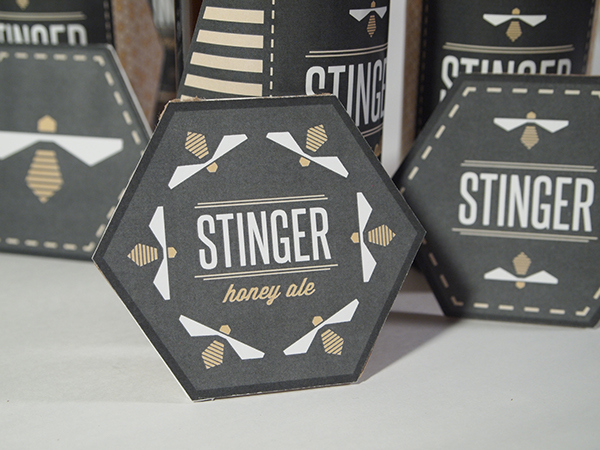 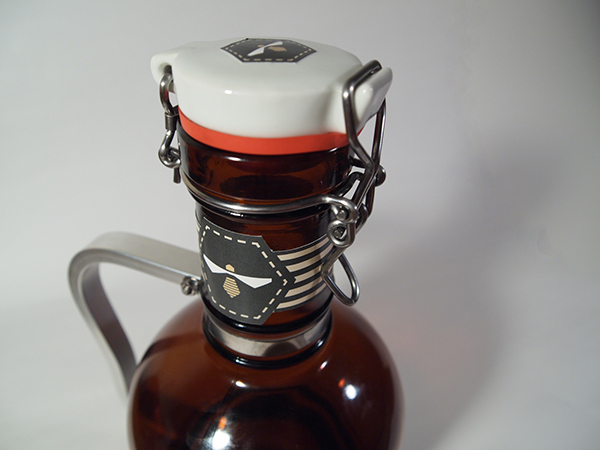 I designed and created my own custom hexagonal beer carrier, labels for both 12 oz. 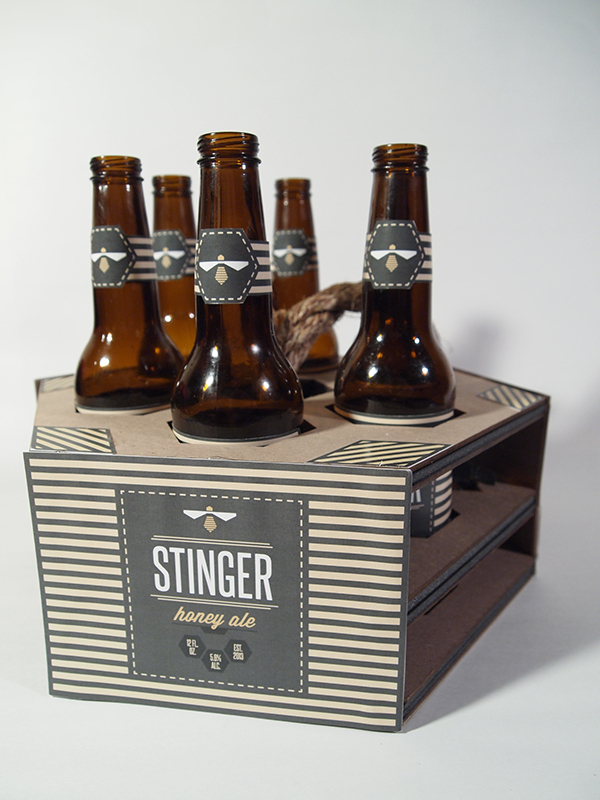 bottles and a 2 L growler, and a box for a 12 pack.